Piersol Homes is currently offering award-winning homes in popular Gloucester County communities including Florawood Country Estates, in Franklin Township, Tesoro Estates in Mullica Hill and Scotts Glen in Woolwich. With Piersol’s award-winning design, outstanding construction, customization options, and prices from the upper $400s, each of these communities offers outstanding opportunities for upscale quality and value in prestigious locations. Homebuyers can enjoy all Piersol has to offer at Florawood Country Estates in Franklin Township. Located adjacent to Piersol’s popular Weybridge Chase community, Florawood is in a charmingly rustic setting convenient to Routes 42, 55 and the Atlantic City Expressway. It is particularly popular with buyers attracted to country estate living convenient to city employment, culture and entertainment attractions. With all of the Piersol quality, design and outstanding construction built-in, Florawood Country Estates is one of the area’s most popular new communities. Homes at Florawood Country Estates are priced from the low $500s, with all of the legendary Piersol quality features included. As construction nears completion on a spectacular new model home at Florawood, visit the sales center and model at Piersol’s neighboring community, Weybridge Chase. To reach Weybridge Chase, take Route 295 South to 42 South to Fries Mill Road. Bear right onto Fries Mill Road and proceed 7 miles to Washington Avenue. Turn left onto Washington Avenue and proceed approximately one mile to site on the left. For more information about Florawood, call 856-728-7247. In a popular Woolwich location, Piersol is offering a very limited number of homes at Scotts Glen, in a charming rustic setting. As construction gets underway at Scotts Glen, this community promises to deliver elegance and style comparable to that found at Piersol’s Meadowview Estates and the nearly completed Nature’s Walk Woolwich. In nearby Mullica Hill, Tesoro Estates offers gracious living on a peaceful cul de sac. With a prestigious Mullica Hill address and convenience to I295, Routes 322, 55 and the NJ Turnpike, as well as the ambience and charm of downtown Mullica Hill, Tesoro Estates offers outstanding opportunities for living in a very desirable location. As site work and construction get underway at Tesoro Estates and Scotts Glen, prospective homebuyers can visit Piersol’s model home and sales center at Nature’s Walk for additional information and to reserve their homesite. To reach Nature’s Walk, take 295 to Exit 11 to 322E. Continue on 322E to right onto Kings Highway. Then left onto Back Creek Road to site on the right. For further information call 856-467-7088 or visit the www.piersolhomes.com. Typical of Piersol’s award-winning homes is the lavish Magnolia Place, which captured the 2005 Builders League of South Jersey’s MAME Award for Best Single Home with an Average Sales Price Over $450,000. Showcased by appointment at The Estates at Country View in Mullica Hill, the Magnolia Place joins 2004’s winner, the Aspen at Nature’s Walk in Woolwich, as the best home in its class. Both award-winning designs join the many extraordinary models in Piersol’s extensive portfolio of country estate homes offered in prestigious communities throughout Gloucester County. The Magnolia Place is a meticulously designed home that appeals to buyers attracted to the classically elegant, country estate style of this spacious home. Its spectacular volume foyer, with its graciously curved staircase and soaring designer ceiling makes an immediate “architectural impression”. The spacious floor plan was designed with a natural “flow,” allowing each room to serve its purpose with the right amount of individuality and style – and lots of natural light and architectural accents for distinctive style. For those who just can’t wait to start enjoying life in a fabulous new Piersol Home, several homes are available for quick delivery in desirable communities throughout Gloucester County. 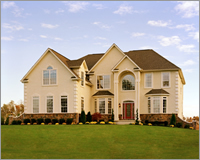 For information about these homes call 856-467-7088, 856-241-9300, 856-728-7427 or visit our website at www.piersolhomes.com.